A fresh, lively wine with a hint of citrus and ripe vineyard peach. Pairs with perfect with poultry, seafood trout and salmon. 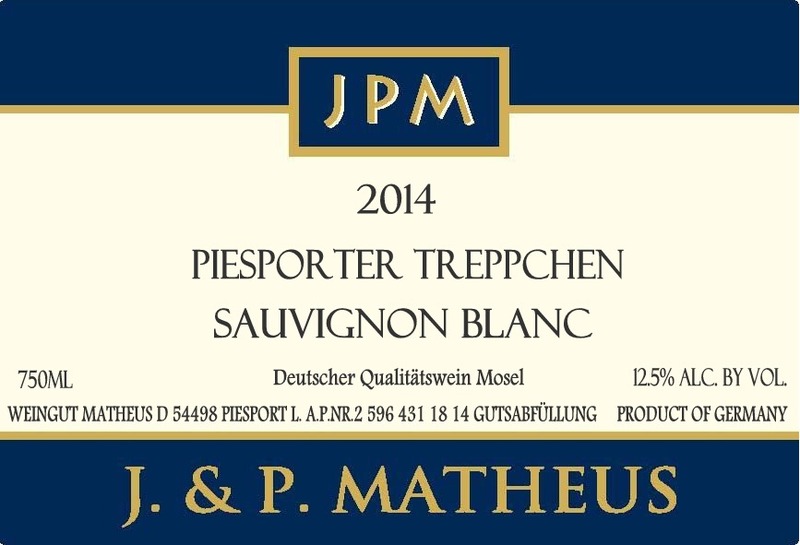 Weingut Matheus is located in Piesport on the Mosel and has a 400 year tradition of winemaking (8 generations). Since 1992, the estate has been managed by Petra Hain-Matheus and Jorg Matheus, a graduate of the school in Geisenheim. Total estate production is 35,000 bottles or 2,916 cases annually, but they could produce more (50,000 bottles).